Following on from my search for utopia post: If we stay year-round in White Rock, then my hubby would like to add an indoor pool to our house. An excellent idea since he and the kids swim every day when we’re near a pool or ocean. We also could combine my solarium idea with the indoor pool space. However, chlorine is a highly toxic, damaging substance – both for our bodies and the environment. So I’ve begun researching alternatives. Dr. Joseph Mercola’s site is great for this since he has a feedback section where we can hear from actual pool owners. There’s no substitute for personal experience in my opinion. 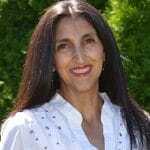 The following information is gleaned from the community feedback on Mercola’s site and some of the recommended websites themselves. Since most of the information below is quoted, rather than italicizing the quotes, I have italicized my comments instead. Mercola recommends Ozone as the best system, however in the comments section by pool owners, many say it is not ideal and that they have found better systems. “The pool I have is a ceramic pool so it will never get algae because there is nothing for it to grow on. Algae is only found in cement pools. Because the ceramic pool is non-pouros and a cement pool is. Also, the long-term maintenance is 10% of a cement pool. “I would recommend looking into an Ecosmarte system. It is a non-chemical approach that produces excellent results. The only thing you have to really adjust with this system is the ph, but an automated system is available that will do this for you. The ECOsmarte system creates two sanitizing agents, copper ionization and liquid oxidation. As water flows from your pump back to your pool it travels through the ECOsmarte ionization/oxidation chamber. While in the chamber, the water will either receive copper ions or become oxygenated depending on the setting of the switch on the controller, producing crystal clear pool water that is as safe to drink as bottled water. A tidbit of info: The Ecosmarte pool system is and was actually used at the olympic pool in Athens during the Olympics. It is a zero-chlorine system that is safe and creates no harmful by-products for you or the environment. This technology has been growing in popularity for the last 12 years. It is still relatively new, but proven effective worldwide. It’s like swimming in crystal clear bottled water…. Copper and silver ionization will kill all the nasties in the water, but without oxidation present, the organic material in the water will not be handled. Chlorine is an oxidizing agent, but comes with a high price of toxic by-products. The most important part of the formula that makes Ecosmarte’s technology special is oxidation. I perfer the copper ionization for overall performance. Below is a summary of popular water treatment technologies from a vendor, but I agree with it based on my 20+ yrs in the environmental field. A lot of my work has been in air quality, and I do not believe that any form of ozone treatment is “healthy” if there is the potential to breath it. In the water-OK; in the air-NOT OK. My wife is a respiratory therapist of 20+ yrs and also agrees. CHLORINE – A greenish-yellow, poisonous, gas with a suffocating odor, widely used as a disinfectant. Chlorine is toxic and will burn your eyes, irritate your skin and damage hair. BROMINE – A dark reddish-brown fuming element with a suffocating odor. A chemical which reacts like chlorine but is not as abrasive to humans. Has benn banned by the Provincial Board of Health of Alberta because 95% of the spa-related skin irritations came from spas using Bromine. OZONE – An unstable form of oxygen with a pungent odor. Ozone is fast acting but leaves no sanitation in the water to combat bacteria and algae growth. Must be used in conjunction with regular shock treatments of Chlorine. It will dissolve rubber washers in pumps, filters and pool fixtures resulting in leaks and potential costly repairs. SALT WATER DEVICES – Devices that utilize salt create a chemical reaction which actually mmanufactures chlorine in your pool. The chlorine then produces the same reactions that regular pool chlorine does. “THERE ARE SEVERAL SAFE AND EFFECTIVE ALTERNATIVES ON THE MARKET OF WHICH WE HAVE SINCE DISCOVERED. NATURE-2, FLOATRON AND NON-ELECTRIC ION GENERATORS IS AN EFFECTIVE ALTERNATIVE. UNLIKE OZONE, IONIZATION PROVIDES A LONG TERM RESIDUAL BACTERICIDE AND ALSO HELPS TO ELIMINATE DUST, DIRT AND IRON PARTICLES FROM THE WATER. As you’ll see, all these ‘Ionizing’ Systems for the exception of Nature2 or the ChlorFree-AquaSmart Ionizing Capsules, either require a Source for Electricity, Special Installation or as noted with Nature2 and Floatron, are not nearly as effective as the ChlorFree-AquaSmart’s Submersible Capsule and none of these Ionizing Systems are recommended for Potable (Consumable) Water except for the ChlorFree-AquaSmart Water Purification System. The ChlorFree-AquaSmart Philosophy and their obvious Success was built on the “KISS Principal”. Keep it Simple and as you see, the ChlorFree-AquaSmart Capsule is Simple to install, Inexpensive and is Easy to use. In my opinion and years of having a Swimming Pool, the ChlorFree-AquaSmart is by far, ‘Simply’ the Best CHLORINE Alternative compared to any other System available. I know because we’ve been using their Ionizing Capsules for almost two years in our 8-9 Passanger Jacuzzi with impeccable results. You may have an inexpensive way to keep your pool virus and bacteria free whilst converting any minerals into organic state. The MIMURA has been well received in Rotorua and rest of NZ. It is being used in many spas around Thailand. The MIMURA has been through rigorous scientific process and is now in use in Japan, Australia and South East Asia in solving the water problems. The contamination taking place all over. The oxygen is release and recombined with the minus ions H2O. The water cluster is also reduced to nano-scale at (10 to the power of minus 10). The bacteria and virus are in the (10 to the power of -4 and 10 to the power of -5)which makes them bigger than the nano-scaled H20. The minerals and metals depending on their atomic weight and structure is in the range of (10 to the power of -6 and 10 to the power of -8). The range between (10 to the power of -8 and 10 to the power of -9) is in the colloidal scale. Take for example a bottle filled with marbles. The marbles represent the present scale of water. However you can fill up the bottle of marbles with sand and small pebbles and that represents the virus, bacteria and other pyrogens (dead matter). “I have used an organic (in the chemical sense) product for many years, called Baquacil. Baquacil is a hydrogen peroxide based substance – It’s just water with an extra molocule of oxygen. I understand it was first developed as a bactericide for surgeons scrubbing-up. I have no commercial connection with the product, I’m only a user. Every month or so I use Hydrogen Peroxide to mop up surviving bugs, according to instructions. As our very small pool is in the house, we couldn’t use chlorine anyway, as the smell would be objectionable! “I couldn’t agree more that chlorine in a pool or in the home is dangerous. Look what it does to hair (especially blonde)…it can turn it a bluish green…yikes! So what is it doing to our bodies? If I had my way, knowing what I know now, my grandchildren would never swim in a public pool, again. However, I know that’s just not going to happen. So, for those of you who have children who swim, shower and bathe in water that is chlorinated, I have some valuable suggestions: For regular baths, use a cup of Epsom Salts… get it from a reliable source, as some brands may contain traces of mercury. Have the child bathe in epsom salts right after swimming. For younger children, you can even mix some epsom salts in a spray bottle and spritz them down, each time they exit the pool. Magnesium oil is also an excellent product to use before and after swimming, as well as after baths and showers. Or, you can add the magnesium oil to your bathwater (this way it is not itchy at all). A supplement that can be taken before swimming to help detox, is Taurine. So if anyone has a swimming pool and has tried any of the above systems, please post your comment below and let me know what you think and share the benefit of your experience…. This company looks to be really good pool contractor in Vancouver, so after I’ve talked to them (when we get back home in Jan/Feb), I’ll post here what our final decision is. *All the photos of swimming pools in this post are from Trasolini Pools. UPDATE 2013 – I gotta tell you, nothing has happened on this front! Instead, the kids have joined Crescent Beach Swim Club every summer (right on the waterfront by the ocean – gorgeous) and we have gone to Mexico every Dec/Jan and then Arizona every March. That seems to be holding us, but ya never know… ! saltwater chlorine generators are different to using manufactured chemical chlorine products, the majority of harmful bi-products with Chlorine pools are due to poor chlorination with a saltwater generation as the water passes through the ‘cell’ it is ‘super chlorinated, you therefore do not get the bi-product toxic chloromines being produced. If you really don’t want a chlorine pool there is an alternative ‘pure-magic’ http://www.watermaid-europe.com/Ionisation-oxidation.html this is a similar system to the ecosmarte system. You do have to maintain the pH very stricktly wiith all systems chemical or generated but ionisation system prefer the pH to be between 6.8~7.2 outside f this and it is not working. Could you tell me about the pricing for Grander? I have an in ground pool. The first choice should be hydrogen peroxide. It is astounding that you would say that there are no health benefits to using hydrogen peroxide. Check the research. It is also extremely inexpensive. One pint of 35% food grade HP is only $14.000. You only need 2 cups for 500 gallons! How about UV? If all of these other system were so spectacular why then aren’t all labratories and fish culture enterprises, and hospitals shifting to these other technologies? Low electrical use, no moving parts, eliminates most bacteria and virus, germs, including HIV, H1N1, leageonairs, to name just a few of the majors we face today. Please look into this system. In terms of cost they are almost one-half the cost of the salt systems and replacement of the bulbs at 9000 hour intervals costs 35 euros thats almost 5 years of use over here in europe. Dr. Paget – so if you add hydrogen peroxide (of which I’m a big fan of for a variety of health uses) to the pool water, do you need to do or add anything else? And can you use just hydrogen peroxided for hot tubs as well? *keep in mind that most of the info above is NOT from me – I am merely quoting from other sources, presenting different opinions. Gary – good point about UV – if you have a link to some home systems, please post it so others can benefit. The salt levels in a saltwater pool are much less than the salt level in the human body, it is therefore better for the human skin and body as a whole to swim in a mild saltwater pool than fresh water, which is why a saline solution is used in hospital to treat patients for dehydration, the tears in our eyes have a higher concentration of salt than that found in a saltwater pool. A saltwater pool manufactures Chlorine in the pool, just simple straightfoirward chlorine without all the additional packaging associated with commercial pool chemicals, calcium cyanuric acid and a host of additional chemicals that really do no more than turn the pool into a chemical soup, in particulr the build-up of cyanuric acid unless closely monitored and controlled reduces the operation and effect of the chlorine requiring more chlorine to be added to acheive sanitation of the pool water. Unfortunately with these greater values of chlorine the health risks are increased beyond the reccommended safe levels 0f 0.7~1.6ppm, Cyanuric acid maximum 50ppm which in most private pools are over five times this value. Salt does not create a greater level of corrosion with Chlorine being ten times more corrosive than salt there are very few components in a correctly constructed pool where corrosion is a potential problem, however the practice of placing chlorine tablets in the skimmer baskets adds considerably to the detriment of the skimmer basket, pipework from the skimmers to the pump, the pump and filter where high concentrations of chlorine exist while the pump is in standby – most of the day. All dosing equipment introduces chlorine after the filtration system and a salt chlorine generator only produces high levels of chlorine while the filtration system is running, furthermore all water passing through the salt chlorine generator cell is ‘super chlorinated’ ensuring bacteria is destroyed and the pool sanitised. Having a outdoor pool and covering it with a retractable pool enclosure will give you an outdoor indoor pool for year round swimming. It also keeps the house separate from the pool, eliminating a number of issues. PETE – that’s a great idea – had a look at your site. Do you have any ballpark estimates for the cost difference between building an indoor pool (with lots of big windows) vs. one of your structures? I’m confused in Texas. We don’t have a lot of options. Our choices were: chlorinated, salt-water, or ozone system. Help! What did you end up doing? I’m trying to find a healthier alternative to chlorine here in Austin. Hi Michelle, all I can tell you is that my 4 year old develops excema from chlorine in bath water or swimming pools. But he swam all summer in an outdoor salt water pool and was fine. I too am very sensitive to chlorine – makes me itch like crazy, even after a shower (with chlorine filter showerhead) and moisturizing lotion applied. I too swam repeatedly in the outdoor salt water pool – did not shower afterwards and went to the beach for 3 hours and STILL no itching. I think the copper ionization system sounds ideal if you can get it, but hope my feedback helps you. The very best advice I can give is forget the ozone, it is expensive in all areas purchase parts and requires you run your system 24/7. A saltwater system so long as you monitor stabilizer levels (Cyanuric Acid – needs to be between 35-50ppm max) will do the job, now the best additional bit of kit would be Auto-pH. pH needs to be maintained at 7.2 – 7.6 preferably 7.2 at 7.2 the chlorine is working around 70% efficient at 8 the chlorine is only 20% efficient so the chlorine salt generator will be working less to maintain the level in the pool which only needs to be from about .8 to 2ppm. It is still a chlorine pool but less so many Chloromines in the water due to the majority of the water pasing through the salt cell is ‘Super-chlorinated’ which burns up any excess organic matter. We have sold salt system to people with really bad skin regarding sensitivity to Chlorine and they are compleatly OK with it. With Ionization systems you also need good pH control and an Oxydation system as well some have both done electronically, a little bit more fussy than a salt system but again once yu get used to it – OK. Although they can also stain the pool easily the copper electrode ones with a turquoise and silver electrodes with black. I have installed a copper/ silver ionisation system, absolutely fantastic, when we installed the pool I had salt water I didn’t want chlorine but I didn’t do enough research obviously a salt makes chlorine, we found it hard to keep it clean, when you were swimming it made your eyes sting and when you came out of the pool your hair was dry and salty. Everyone said get an ozone system which we did, you don’t need chlorine beautiful clean water, well as everyone else probably knows you need chlorine with it, so that didn’t work. I was on the internet and came across a company called Enviroswim and have never looked back. We only need to run the pump for 4 hours a day and a bit of acid once a week and a bit of bicarb, no chlorine and it is crystal clear, you can even open your eyes under water and don’t even have to wash your hair, best decision we ever made. I now have peace of mind knowing that the kids can swim without chemicals. Janine, Would love to know how your system is working now? i absolutely love my Ecosmarte system. 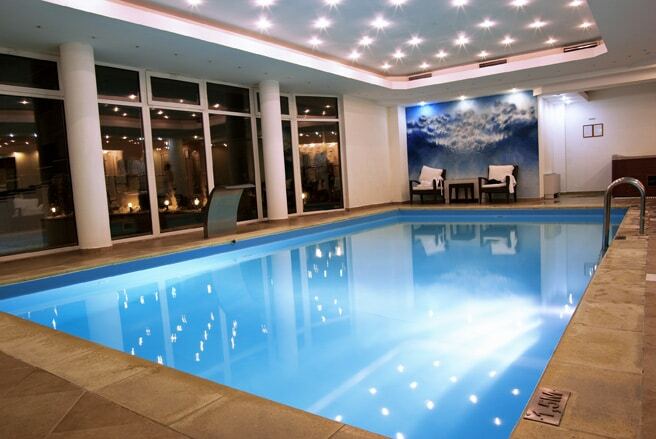 you cant beat the softer feel of the water and with no chlorine there are no nasty odors in our indoor pool. the water is enjoyable year round and very easy to maintain. SALT CHLORINATION & ECOSMARTE UNIT .WE NEED PH ADJUSTMENT IN BOTH CASES O.K. FINE .BUT WHAT ABOUT ALGAESIDE DO WE NEED TO USE IT !!! HOW OFTEN WE NEED TO REPLACE PARTS IN EACH CASE .!!! WHAT IS THE MORE EXPENSIVE TO RUN !!! NEED FEED BACK ON THIS . With the Ecosmarte system, there is no need for algaecide as long as we keep the pH correct. We also only need to replace the copper bars every few years and they cost under $200. The system also uses very little energy, so there is almost no cost in running the system. Basically one (Saltwater) produces Chlorine and the other does not, both work very well with the Saltwater systems being more prolific than Ionisation as they have been around for longer worldwide and originally banned for use in Australia because the Bacteria ‘kill’ time for Chlorine is much greater than with Ionisation which is why you will find very few Ionisation systems in public pools unless they also have a Chlorine system in-place as well, the chlorine levels can be much lower but it is considered necessary to also have a chlorine residual and local health authorities expect to be able to measure a Chlorine residual in the pool. Saltwater systems will also operate with a higher pH 7.2-7.6 and Ionisation system likes the pH to be as neutral as possible so that is 7 or below, if we allow our pH to be below 7 the water then becomes acidic and will dissolve any tile grout etc. it would also need to have an auto-pH system to maintain the pH so accurately so the complete installation would initially be more expensive, although any sanitising method would benefit from auto-pH as the sanitiser whether it is Ionisation or Chlorine works so much more efficiently and saves money in-itself. Maintenance wise, on the previous quote above there is probably little difference in cost a new Saltwater cell should cost about €200 – 400 and last up to 8 years depending on manufacturer. the saltwater system will eat grout with the pH lower because of the chlorine. With chlorine in the water the neutral pH is actually around 7.6 which is why the water is corrosive when the pH is lower. With Ecosmarte, the pH would have to be run less than 6.4 to create this effect. The Ecosmarte system also eliminates scale and prevents it from occurring as the Calcium becomes bicarbonate. This is a much more environmentally friendly approach. I would welcome clarification on this statement of how chlorine will alter the neutral of pH? It is accepted that pH is measured on a scale between 0 and 14 with 7 being the mid point below 7 it is considered acidic and above 7 it is alkaline. A saltwater system produces Chlorine exactly the same way as it is manufactured commercially so the commercial products you purchase are manufactured from salt. A salt system produces hypochlorous acid (HCIO), and sodium hypochlorite (NaClO), which are the sanitizing agents already commonly used in swimming pools since swimming pools have been in use. Tile grout will naturally be eroded by the water in the pool as we can see in nature water will eventually dissolve most things, but having your pH below 7 will ensure the pool water is acidic and will speed the process up. My company supplies both systems, they both have their advantages and disadvantages, the main advantage of Chlorine is that it is a very effective sanitizer with reasonably short kill times for most bacteria. Ionisation systems do not have a short kill time for bacteria, they take much longer which is why public pools still maintain a residual level of Chlorine to ensure as far as reasonably practical that public safety is maintained. For a private pool with good knowledge of the health of the swimmers using the pool an Ionisation/Oxidation system will provide reasonably adequate sanitation without the addition of Chlorine although periodically it could be wise to ‘shock’ the water with an additional sanitiser either H2O2 for Chlorine free or use chlorine which will soon dissipate anyway. If you are unsure of the swimmers health or hygiene then a Saltwater system is better, you can control exactly what chemicals are added and operate with low levels of Chlorine – typically .6 to 1.5ppm unlike using commercial tablets which contain many chemicals and often require a Chlorine level much higher to maintain a healthy “looking” pool. I’m sold on the chlorfree ionizer capsule for my pool but have no clue how to install it. Every website I go to (including yours) claims they are easy to install but no one provides instuctions. I ordered one in the mail hoping it would come with instructions but all that was provided was a packing slip. Please help me….where do I put this thing? We will help if you can send us a photo of your filtration system and some information on the system you have bought. Is it simply IONisation or does it have OXYdation as well? Today, you can Purify pool water without the need for chlorine with ChlorFree, a Truly Remarkable Product! EPA approved ChlorFree insures the elimination and control of harmful bacteria, algae and microbes to produce a Sparkling Fresh, Soft, Clean Environment. Using ChlorFree is Easy and virtually Maintenance Free. Simply drop the ChlorFree Genie into your pool or spa –and that’s it! Within a few days the pool will be transformed into Crystal Clear water that has been Laboratory Tested as “Clean enough to drink”! Does this sound like what you bought – something you can just drop in the pool? DAVID – does this sound right? Or does the capsule have to go somewhere in the filtration apparatus? The testimonial looks great, however it says “up to 90% reduction in Chlorine” that means that it may be possible to use 90% less Chlorine but not guaranteed it could mean you will use just 50% less. Facts: Chlorine is a great killer of bacteria – IONisation is also a killer of bacteria – but not quite so quickly and Chlorine is also an oxidizer which m,eans that it burns up the dead bacteria as well – IONisers Don’t do that. Unless you have an electronic ION/OXYdizer these have 2 x electrodes for IONization + 2 x Electrodes for OXYdation the OXY electrodes produce Oxygen + a whole host of other very powerful OXYdisers – automatically. I am afraid that owing a pool is not straightforward or free to operate but it can be maintained with minimum or no Chlorine depending on how many people are using it, the critical maintenance of the pH – A very critical component in all pool sanitising methods. As always do not expect too much of any product you pay very little for – it will not happen. The Enviroswim ES3 unit is absolutely fantastic, I have had my system for 5 years now and never looked back, I am so passionate about it and passionate about keeping our children healthy and away from dangerous chemicals that I am now the South Australian distributor. I am working with many of the pool companies over here, some are only selling fresh water pools now. I have had not one person come back to me to say they are unhappy or the system doesn’t work, in fact its the opposite they are recommending it to their friends. This is the only system that has an oxidiser built in as well as an ioniser and besides a copper test every couple of weeks and balancing PH, thats all you have to do. Ozone is a more practical disinfection system in my opinion. UV ozone systems isn’t ideal as it’s very light on application and needs extra chems to kill bacteria effectively. Corona Cell (CD) unit Is better. People with bigger pools ie 50,000L plus can use sodium bromide as a residual sanitiser. Ozone reacts with sodium bromide (NaBr) to form hypobromous acid (HOBr) which itself is a powerful bactericide. Upon reacting with an organic molecule in the pool water hypobromous acid is converted back to bromide. This bromide then reacts with ozone to form hypobromous acid and the cycle begins again. I only need to top up the sodium bromide every 6 months. Enviroswim is an ok system but a tad expensive, your talking about 3500.00 AUD investment compared to 1800.00 AUD PureOzone Systems “Azure” unit retails for around 1790.00 which includes installation so for me this was a better choice as it’s made with quality German and American made parts and a very solid unit. Plus the Enviroswim copper / silver electrode needs replacing every 18 – 24 months and costs 300.00 AUD, my pool looks and feels fantastic. Yes Enviroswim is more expensive but is also more efficient, no need for bromine or chlorine. Chlorine is unstable and is affected by the sun, temperature, rainfall and even pool cover on and off. Oxidisation is stable and not affected by the sun. To sanitize a pool with ozone alone means that every bit of water in your pool has to go through the unit, as there is no residual in the water. I had on Ozone fitted on my pool before I installed the Enviroswim unit, within 3 days my pool was green, after going back to the pool shop I was told I need to use chlorine. The Enviroswim unit I have had running for 5 years, without chlorine or any chemicals (besides maintaining ph) it is unique and the best system around. Hi All, I’m wondering if anyone has an update to the filtration system information. The company I am interested in doing business with suggests the Corona Discharge Ozone system. Any comments? Thanks! I love how these blogs and sites make chlorine out to be a bad and dangerous way of maintaining a pool. I also laugh when people have these metal filters installed (Nature 2 comes to mind) and have no idea what they do or if there is any benefit to them. These systems are complete scams and will not properly sanitize your pool. Sure they may help keep algae at bay but the copper will not kill off viruses or bacteria. Also the funny thing is most of these “Low Chlorine or Chlorine Free” systems still require chlorine. Usually in the amounts of .5 ppm. For anyone still reading comments look into the TFP method (formally known as BBB) and start maintaining your pool the most effective and cheapest way. And for those who say “I am allergic to chlorine ” I would guess you have never been in a properly maintained pool and based your opinions off public pools. I would also like to add in a properly sanitized pool you will never smell chlorine and if you do then that pool isn’t properly sanitized and what your smelling is chloramines which is chlorine effectively killing bacteria. Again another scam that I would advise to stay away. And yikes $300 for replacement copper cells each year. I spend around $80 for the season on liquid chlorine. In response to Brandon’s comment, the Enviroswim system does not need to be supplemented with chemicals. The 3 in one system is like no other system on the market and it is the easiest system to maintain, 3 steps check ph, check alkalinity and check the copper all just drops into a test tube. If these 3 things are at the correct levels you will have crystal clear water all year round, with no need to add any extra chemicals. Not only that, your pump will only have to run approx half the time. Pool builders are now recommending our system and people are upgrading their pools to our system. Our customers are loving it, no complaints. I have had my system on my pool for 5 years now best thing I ever did and OK I changed the rods after 2 and a half years at a cost of $300 but I would of paid a lot more than that to a pool shop. Do the maths and not only that everyone is swimming in beautiful fresh water and yes they have the accreditations and for a domestic pool it is not law to have to use the above chemicals it is just a recommendation. Go the healthy way, look after the environment, there is an alternative to chlorine, hydrogen peroxide and all the others. For a residential pool, sure a person isn’t required to use any chemicals they don’t want to. The Government can give a hoot on whether you swim in clean water or sewage. As for using this secondary system in a commercial pool, a primary sanitizer is still required. Sure you can pay $3500 + $300 each year after that to supplement one of the primary sanitizers which are chlorine, bromine, baquacil, or Hydrogen-peroxide. Thank you for this information on the Enviroswim system. I for one do not want to swim in Chlorine weather you can smell it or not. I don’t care what it is killing because it is also killing me. Can you tell me if the Enviroswim system is allowed in public pools? I believe it was mentioned here that it was not. I would love to see it used in my own community pool in SA, TX. Thank you for your information. Too funny – that should be Chlorine water not weather! They do have pretty strict guidelines for public pools, in Qld they have them in some resorts but in SA I sell them for domestic pools only. I have no complaints from any of my customers, my pool has never been so clean, never gets slimy sides and the water is just lovely. Everyone that has had them installed loves them. Things need to change, we have to think of the environment and what we are subjecting our children to. This is my passion to keep our kids healthy and if pool water can be sanitised electronically without the chemicals I’m all for it. Sorry should of been whether on last post. Have a look at my Facebook page – Enviroswim Fresh Water Pools SA. I will be at the Pool and Spa Show July 5th & 6th Adelaide. Janine, You are from San Antonio? I can’t find your Facebook page. Can you please send a link? We are converting people and creating awareness of some of the nasty chemicals that people are swimming in. In Australia there doesn’t seem to be enough guidelines and not all products seem to have approvals and the other thing when all the products are mixed together what effects do they have on the body. I saw somebody yesterday they had installed our unit but had a liquid pool cover, it was 90% ethanol and sits on top of the pool where your mouth is when you’re swimming. Bit scary, I made them aware and straight away they turned off. I think people need to research and have a look at reviews on products before they buy. I have heard of the natural pools, I don’t know a lot about them except the water is cleaned naturally through rocks and sand etc. So Andrew why is is better? Hi, in winter I run my unit 1 and half hours winter and 4 and a half hours in summer saving electricity. What exactly unit are you referring to? Just the ozone unit or the entire pool pump system? Why is Ozone better? Thank you! Ozone leaves no residual in the water, every bit of water has to be cleaned and sanitised through the system, that’s why it has to run for so long, the Enviroswim system is more efficient and kills bacteria a lot quicker than even chlorine, it has no smell either. Ozone is normally a secondary sanitiser and needs chlorine, I had ozone on my pool for a week, I got told I didn’t need chlorine, within 3 days my pool was green, found out I had to use chlorine with it but it wasn’t the same as Andrews system sounds as if they have improved them. Your pool turned green because your water is not turning (circulating) too well. Enviroswim uses copper which discolours your paving and suroundings, especially those who have concrete pools with white creamish tiles, and also the water tastes metallic. For me ozone is a better choice, its healthier and used in all forms of water treatment, including potable water treatment. Olympic swimming pools even use ozone. Athletes prefer swimming in ozone pools as it doesnt cause skin irritation and leaves the skins feeling fresh due to the high oxygen contamt left in the water and it leaves no carcinogenic byproducts. Basically its like swimming in bottled water. Good enough for the olypmics, good enough for me. If you have a larger pool 50k litre plus. Use a little sodium bromide as it reacts beautifully with ozone to create hypobromous acid which kills bacteria and algae multiple times better than chlorine. I’m not a nut case or a doomsday prepper; however, I want to build an indoor pool in a finished basement, probably something like an ‘endless pool’ for swimming. Are any of the above systems ok to drink (with little or no disinfecting) in case of emergency? Only myself and my husband would use the pool. The scenario I’m thinking about would be a prolonged outage of services due to natural disaster (not the zombie apocalypse). It sure would be nice to know that a supply of water would be available so the pool could serve an emergency function as well. Worst case scenario would be bathing (grey water), but best case scenario would be emergency supply (maybe with just water purification tablets?). Has anyone thought about this? I don’t think you’re a nutter – just listened to a podcast yesterday about what to buy for 3-6 weeks emergency food supply for exactly those reasons! I’m thinking if you had an ozone or similarly pure pool system and used a purification method – adding potassium iodide even purifies drinking water in Africa – why not? Check out Enviroswim ioniser. I have it & swim in fresh water just like a lake. No salt, no magnesium, no chlorine. I would love to try these suggestions. Thanks for sharing. something to consider with all of these non chlorine options is that they can not function to sanitize your water with just one method. I.E. you can’t just use metal ionization or just use ozone, or just use hydrogen-peroxide. An oxidizer disintegrates solids, where an ionizer kills bacteria and some organics but leaves the remaining solids. Having an oxidizer like chlorine will stay solute in the water and will continually disintegrate solids and thus kill any organics like bacteria and fungus. If you want to have a chlorine free pool you need some other oxidizer to preform that function, but there are non that will stay solute in the pool water as long as chlorine does. That’s why most ozone systems still require small maintenance levels of chlorine to sustain the water purification when it is not actively being saturated with ozone, or when the contaminate level becomes too high for the ozone to keep up. Metal ionization systems still require oxidizers like chlorine to break down and dissolve the solid waste byproduct as well as kill fungus that can resist the copper and silver ionization. For a chlorine free system you would need a hybrid combination of an oxidizer, such as Ozone, and a metal ionizer, such as copper zinc silver. This would give you an oxidizer to break down solids and waste while the pump is running and the staying power of the metal ion infused water for anti-microbial. Heavy pool use and high contaminate levels would make any system ineffective that doesn’t implement some form of chlorine additive as a suppliment. Any of these systems by themselves or in conjuction still require PH balancing and filtration. Excellent Topic. Thanks for this. Janine, is Enviroswim available in Canada? This would be a more transparent conversation if Vendor’s would identify themselves in these comments as vendors and not simply consumers of products. It does not build confidence in your products. Linda, this “vendor” is very transparent if you actually look and pay attention. This “vendor” only became such after being a concerned parent and witnessing such amazing results AS A CONSUMER. Becoming a vendor to spread the word to other innocent families should be something you are praising this vendor about. Do your research. Would you rather the vendor be a corporate marketing scumbag with no real experience or interest and passion in their own products? Instead of criticizing one’s caring desire to help others in the same way they were helped, you should be grateful someone is even willing to spend their time trying to spread truth and health, and they deserve every penny of profit made off these genuine efforts! !